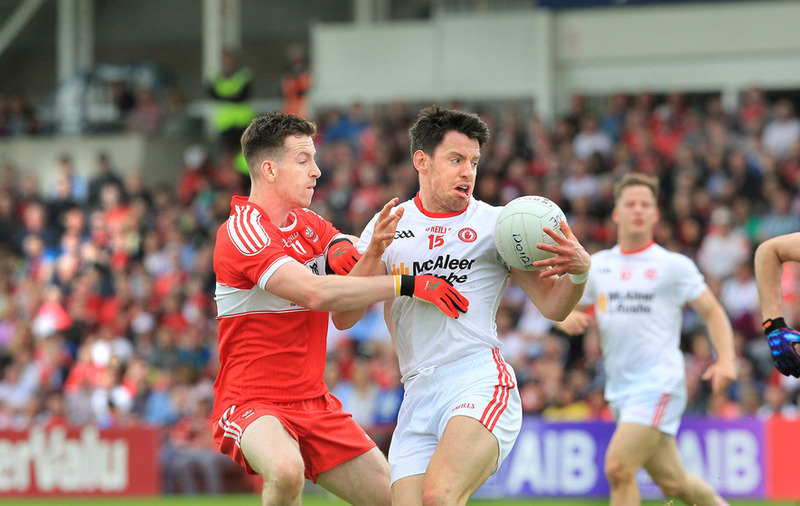 DERRY'S average of 4.4 attacks per score was the highest of any of the six teams to play in the Ulster Championship so far, and there was a fairly obvious reason for it. In the early moments of the game, you would expect Derry to have had a spring in their step. At this stage Tyrone hadn’t yet registered and this was the home side’s first real attacking opportunity of the day, and a chance to set their stall out. That’s what they did, but not in the sense they would have wanted. 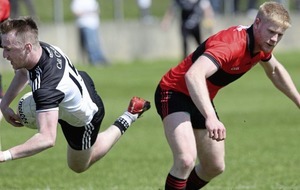 Enda Lynn carries the ball across the 45 and is forced to turn and give it to Karl McKaigue. When he picks it up, he has his brother Chrissy in a bit of space and Ciaran McFaul further wide. With Mattie Donnelly tucked infield there’s an opportunity, if the ball is moved quickly, to create a two-on-one out on the right. Instead of moving it a distance, though, Karl McKaigue plays the short handpass to Ryan Bell in the middle. That automatically slows the attack but the numbers are still out wide. Bell simply has to draw the first tackle and pop it to Chrissy McKaigue off his shoulder. Except neither happens. Bell decides to go down a blind alley lined with four Tyrone defenders and no support, and Chrissy McKaigue is static and hangs back. 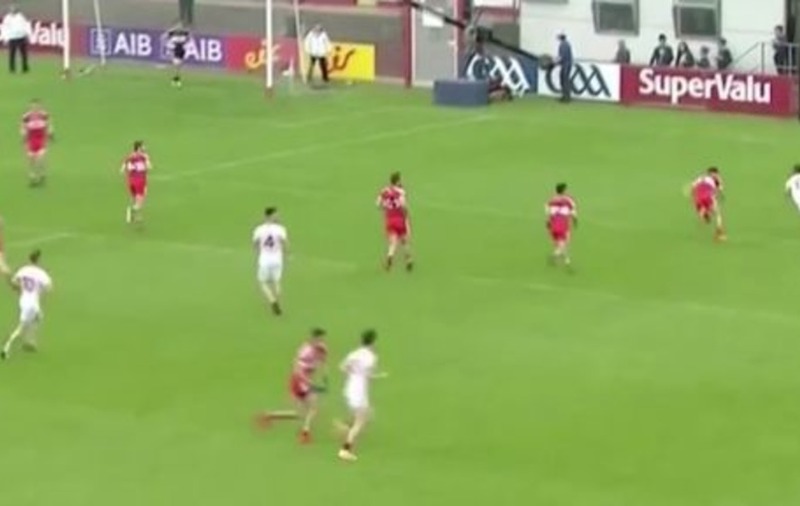 Derry retain possession when Bell recycles it but any inkling of an opening has long been shut off and the move ends with Enda Lynn having a hopeful effort from near the sideline that goes wide. The move was far too laborious and the runners were too bare in number. The theme was repeated ad nauseum all afternoon. CONTRAST that with Tyrone’s attacking play a couple of minutes later. A stray handpass from Conor Meyler down the left wing threatens to derail the move but Rory Brennan recycles and they start over out wide, just outside the Derry 45. Mattie Donnelly plays the skip pass over Padraig Hampsey to the next man, Colm Cavanagh, and suddenly he has a bit of space down the middle. He charges into it but unlike Bell, he doesn’t wait for contact and he has a forward showing inside. Mark Bradley comes short for the handpass and Cavanagh gives it. From there, the danger becomes apparent. Bradley is going away from goal but Peter Harte, Conall McCann, Colm Cavanagh and Kieran McGeary all make hard runs at different angles. It pulls the Derry defence in all sorts of different directions and in the end, it’s Niall Sludden who comes from deep and goes through the gap. Conor McAtamney pulls him down and Sean Cavanagh kicks the free over the bar. DERRY’S defence was loaded with plenty of numbers but their tackling in the first half was poor and their understanding of how to defend certain situations appeared weak. 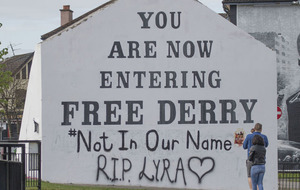 As a result, at times a single Tyrone runner into the Derry 45 was enough to create a score. 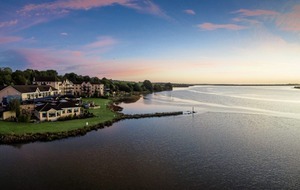 In this example, Kieran McGeary picks the ball up on his own 45. He carries right up until 40 yards from the Derry goal with no pressure put on. 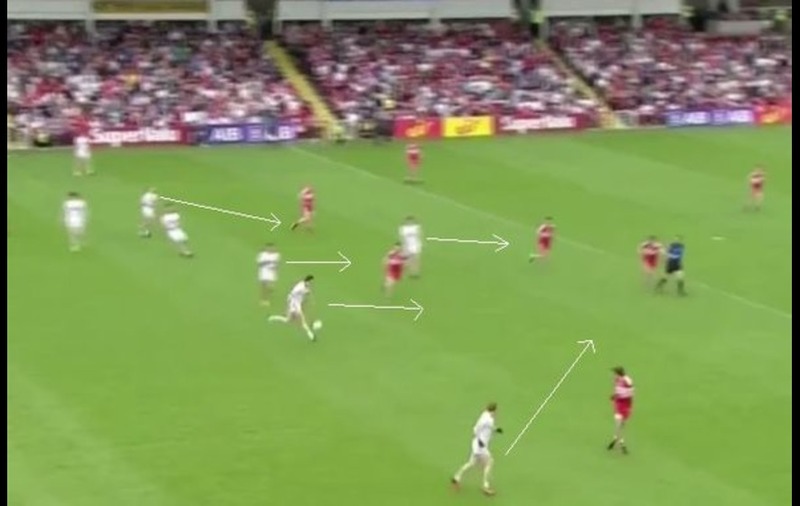 That would be fine if the red shirts inside their defensive area were setting themselves for any runners but one simple change of angle from Padraig Hampsey throws the entire Derry cover. Hampsey runs on McGeary’s outside shoulder until the first contact, at which point the Coalisland man cuts his run inside. That creates a bit of havoc and he is able to pick a simple handpass to Mark Bradley on the inside line. Even at that point, Derry still have to spare men in a good position but Karl McKaigue – who had an uncharacteristically poor opening 15 minutes – allows Bradley to go down the line instead of forcing him back into the traffic. 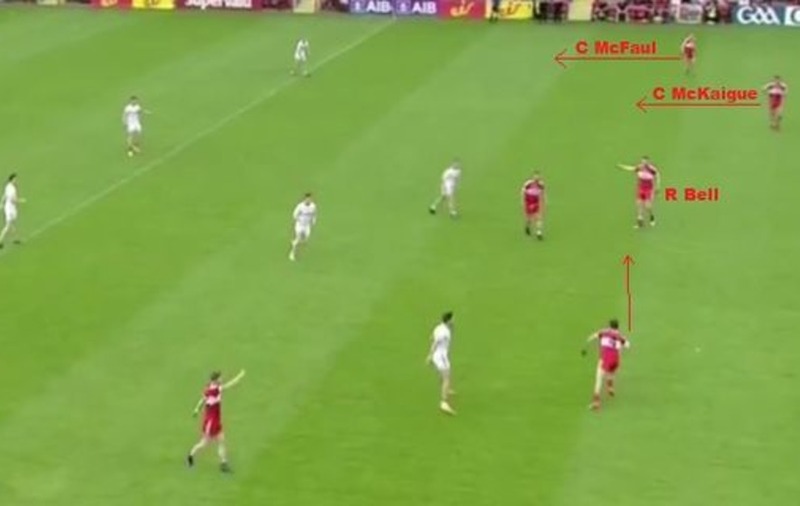 None of McKaigue’s cover is goal side and so he’s left with little option other than a rash tackle that results in another simple free for Tyrone. THE other thing that was noticeable was that on a Derry free, Tyrone tried but failed to press effectively on Ben McKinless’ kickout. 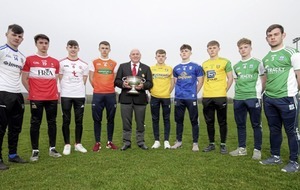 There were times when they committed to pressing right up and indeed they went so far as to trial Kerry’s move from last year’s All-Ireland semi-final with Dublin, where their half-back line left their men free and pushed on up to create extra numbers on a Derry kickout. But there were times when a slack forward allowed a short kickout and undid their pressing. With the danger of a long kickout highlighted by the best goal chance Derry created in the whole game, Mickey Harte will either rethink the idea of pressing the Donegal kickout or double down to ensure that there are no soft out balls for Mark Anthony McGinley. The kickout takes eight Tyrone players out of the game. 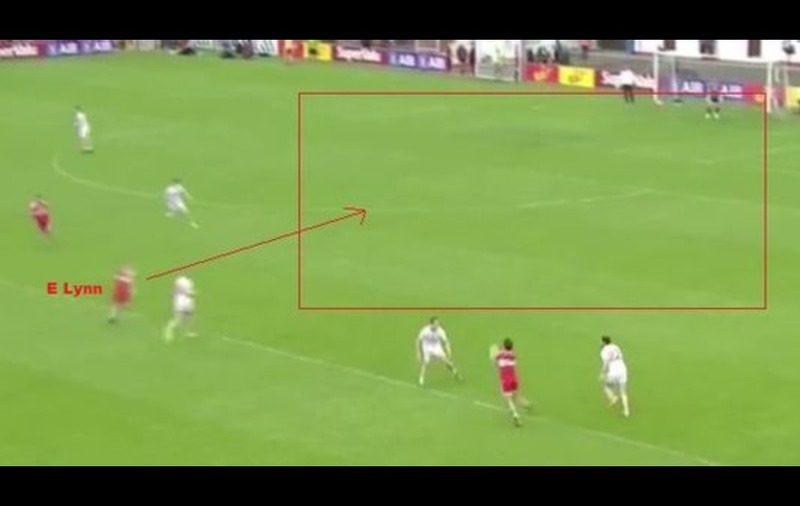 The mark taken by Benny Heron, and his decision to play on, left the Tyrone goal unusually exposed. Heron cuts inside and draws Ronan McNabb out, creating an acre for Enda Lynn to run into. The ball is perfect and Lynn gets a run on Frank Burns, who momentarily goes to sleep. Lynn has the pace to cut right through and when Padraig Hampsey comes across to protect the middle of the goal, it leaves a seemingly simple pass to his Greenlough clubmate Niall Loughlin. But on closer inspection, Loughlin’s position isn’t as advanced as it might have been. He is still very wide and just inside the 21 as Lynn goes to shoot and had the pass gone to him, Hampsey would have had time to get back across. 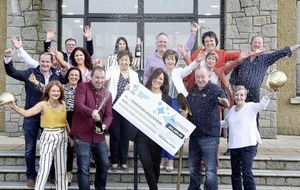 The Donegal attack won’t be as kind.